Body Select Body 2D Convertible 2D Coupe 2D Hatchback 2D Sport Utility 2D Standard Cab 2dr Car 3D Cargo Van 3D Hatchback 3D Low Roof Wagon 3dr Car 4 Door Extended Cab Pickup 4D Access Cab 4D Cargo Van 4D Crew Cab 4D CrewMax 4D Double Cab 4D Extended Cab 4D Hatchback 4D Passenger Van 4D Sedan 4D Sport Utility 4D SuperCrew 4D Wagon 4dr Car 5D Hatchback Convertible Coupe Crew Cab Crew Pickup Double Cab Extended Passenger Van Full-size Cargo Van Hatchback King Cab Long Bed Mini-van, Cargo Mini-van, Passenger Minivan Other SUV Sedan Short Bed Sport Utility Standard Bed Station Wagon Supercrew Van Wagon Wagon 4 Dr. Looking to buy a new or used vehicle? 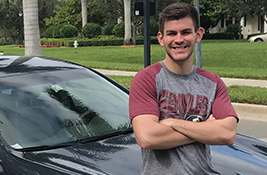 Being a member of First Florida Credit Union gives you the opportunity to team up with our Auto Advisors’ program to assist you in purchasing your next vehicle.